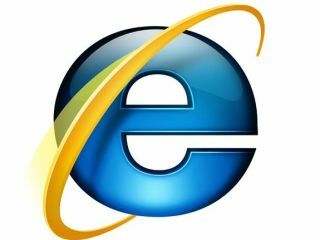 Microsoft has introduced 'tracking prevention' to internet explorer 9, offering consumers more protection against websites that try to track what they do and where they go online. It's hardly a secret that some websites tap into your internet browsing history, with the whole topic of how companies collect, use and store this information a controversial topic. But Microsoft is hoping that tracking protection – which will still require users to opt in to use it – will 'identify and block many forms of undesired tracking'. "We believe that the combination of consumer opt-in, an open platform for publishing of Tracking Protection Lists (TPLs), and the underlying technology mechanism for Tracking Protection offer new options and a good balance between empowering consumers and online industry needs," stated Dean Hachamovitch, Microsoft's corporate vice president for Internet Explorer. "They further empower consumers and complement many of the other ideas under discussion." Hachamovitch points out that being able to access user information is "inherent in the design of the web and simply how the web works" but Microsoft is keen to allow people to control the information that they are sharing. Of course, being an opt-in process may mean that the very users who are unaware of how much information they share will remain oblivious to the problem, but it's at the very least a handy option.